Q & A: Some questions that you may encounter frequently during your purchase or use. 01. Why do we need an air purifier? Americans spend at least 80% of their lives indoors, and the United States Environmental Protection Agency (EPA) estimates that, on average, indoor air is five times more polluted than outdoor air. Given these staggering statistics, it only makes sense that having an air purifier will greatly improve your and your family's health. 02. What contaminants will Airgle air purifier remove from the air? Airgle air purifier can effectively remove dust, tobacco smoke, chemical vapors, odors and bacteria from the air. 03. I bought an Airgle air purifier and want to upgrade. How do I modify filter configuration ? 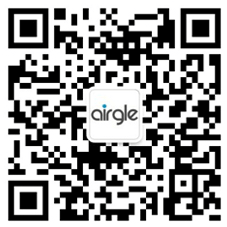 Change the Airgle air purifier filter configuration based on the model you are upgrading. Call us to purchase the filters for the upgrading model. Titanium Pro applies only to AG600 and AG850 and AG900 models. 04. How do I replace filters and reset the filter gauge? Airgle air purifier is equipped with a filter life monitor, which will assist you in determining when a filter needs to be replaced. Please visit our Downloads page to get a PDF version of the Filter Installation and Reset Guide for a specific model. 05. How do I reset Titanium Pro? Airgle system is equipped with a Titanium Pro life monitor, which will assist you in determining when this module needs to be replaced. Please visit our Downloads Page to get a PDF version of the Filter Installation and Reset Guide for a specific model. 06. How does Control Setting work? This advanced setting is for users who deal with severe air pollution. The default setting for the unit is moderate and should meet the needs of most people. The moderate setting displays as four bars on the right-hand size of LCD control panel. System Setting: High Standby mode Press and hold "Auto" button for more than 5 seconds. You will hear a "ding" sound, and see the Control Setting bars go from High, to Low, to Moderate, then repeat the sequence and start blinking. If you release the "Auto" button when "High" is blinking, the system is set to High Mode (6 bars) and so on. 07. How do I turn off the LCD? If you wish to turn off the LCD on the left hand side of the panel: AG800, AG850,AG900, AG950, press the Auto button and hold down for 3 seconds, then press the Auto button again and hold down for 3 seconds to set the panel on Sleep mode. For model AG500 and AG600, press Mode button twice. 08. Which Airgle model has a higher CADR value?